Click here for info about our yoga classes, descriptions and levels. Here's a lil backdrop about us at Bhakti Yoga Shala. We are here in downtown Santa Monica California just 2 blocks from the great Pacific Ocean. We focus on the Bhakti aspect of yoga - Bhakti is synonymous w devotion, community, love. Our classes range from slow and gentle, to sweaty and strong. At Bhakti Yoga Shala we welcome brand new yogis as well as longtime practitioners. We have many chanting events as well as sound healings. 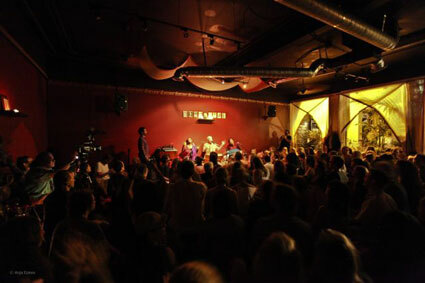 We are a heart-based urban ashram/yoga temple with the intention to offer you spiritual renewal and sustenance. We run most of our classes on donation basis, essentially a "pay what you can" system. An honor system. For most classes the suggested donation is between $10-20 per class. There is a box in the back of the room and it is entirely up to u to offer what you are financially capable. We honor the age old teaching "it is in giving that we receive". Our classes are our offering to you. The donation box gives the yogi an opportunity to practice "generosity", a heart based quality that promotes energy flow, trust, and sharing.